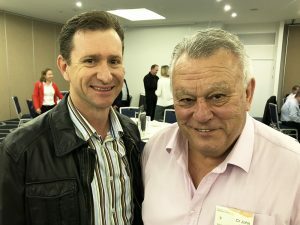 It’s been a productive week for the Sunshine Coast Business Council, with the peak business body welcoming the Leader of the Opposition Deb Frecklington MP to address more than 120 business leaders over breakfast on Wednesday morning, as well as completing its fourth think tank series with 20 key stakeholders on Tuesday. 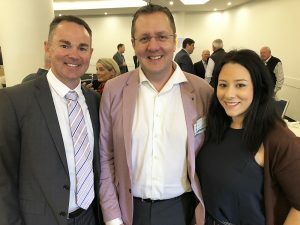 Wednesday’s breakfast — hosted in conjunction with the Sunshine Coast Chamber Alliance — saw Ms Frecklington share her vision for Queensland and challenge the direction of the current Palaszczuk government. Chair of the Sunshine Coast Business Council Sandy Zubrinich said Ms Frecklington addressed her party’s intention to better support small and medium businesses which are the backbone of the Sunshine Coast economy. 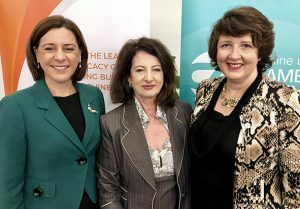 “Ms Frecklington provided insight into the Opposition’s intentions ahead of the 2020 state election and addressed subjects including the recent introduction of five new taxes by the incumbent government, the significant $83 billion debt, high unemployment rates and strengthening the Queensland economy,” Ms Zubrinich said. 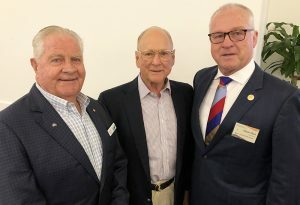 “Events such as these provide a great opportunity to remind the Opposition of what the Sunshine Coast expects and needs in terms of further investment in roads and rail, as well as infrastructure. 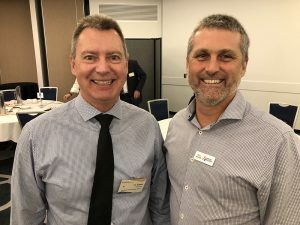 Ms Zubrinich said this event, along with the series of think tanks which concluded on Tuesday, were examples of how the Sunshine Coast Business Council could influence and advocate on behalf of the business community. “Our advocacy role is extremely important and we don’t shy away from the difficult questions. This think tank considered what was required to deliver on the ‘Shaping SEQ Regional Plan’ and how we future-proof our region for sustainable growth,” Ms Zubrinich said. “This is the challenge — we all want to preserve what we love about the Sunshine Coast however the targets set for this region in the SEQ Plan will require us to come up with innovative ways to manage growth whilst protecting our lifestyle. “Our think tanks provide a setting which encourages robust and constructive discussion amongst 20 representatives from local government, business, industry and interest groups. One of the challenges discussed include the region’s ability to provide affordable housing to meet the projected population growth of 200,000 people by 2041 — 191,000 for the Sunshine Coast Council area and 9,000 for Noosa, which will require around 93,000 new dwellings (87,000 in the Sunshine Coast Council area and the balance in Noosa). “We can’t hope to meet these targets without addressing what’s referred to as the ‘missing middle’, which is a form of housing offering greater density and diversity such as terrace housing, detached dwellings and medium-rise townhouses – in a way which is compatible with surrounding lower density residential environments,” Ms Zubrinich said. “It is essential to effectively engage the community in discussions around the challenges and options that needed to be considered to accommodate affordable housing growth, while still maintaining the lifestyle that Sunshine Coast communities demand. 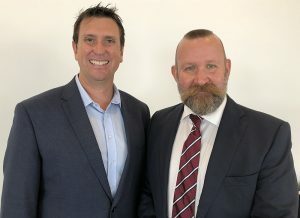 The outcomes from the think tanks will now be taken into the SCBC’s Combined Government and Business Forum which will be held on Tuesday 25 September at the University of the Sunshine Coast.